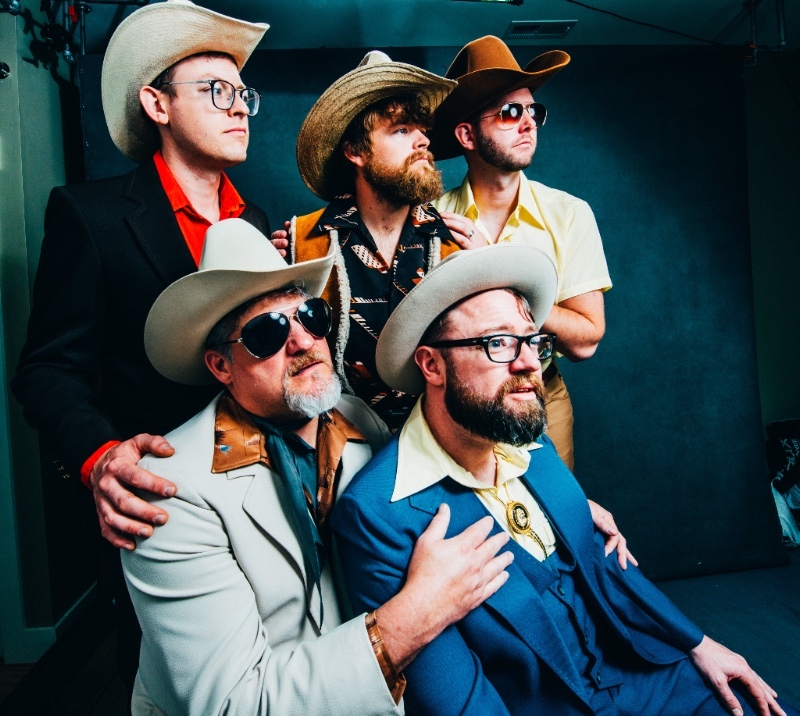 Arden, North Carolina (May 17, 2018) — The Cleverlys, a five-member trio known for its unique musical style, is the latest group to sign with the award-winning Mountain Home Music Company, home to top acts such as Balsam Range, Lonesome River Band, Doyle Lawson and Quicksilver and many more. Family patriarch and front man, Digger Cleverly, tells the Fence Post, “We didn’t think this would be possible a year ago.” On June 22, 2016, Digger was driving a herd of alpacas into their summer range on his family’s ranch near Cane Spur, Arkansas. All was peaceful when a rogue herd of wild alpacas appeared out of nowhere, scattering the Cleverly’s domestic herd into the dense thicket. Digger was thrown from his alpaca, suffering a fractured thumb and bruised lower ego. He was forced him to take a lengthy hiatus from touring and recording. After months of intense rehab and therapy from a team of professionals that specialize in alpaca mauling, Digger is in better shape than ever. “As I was rehabbing, all I thought about was their gnashing teeth and soft wool. Their hooves felt like angry little pillows being thrust upon my body. Their lifeless, button eyes haunted me in my sleep. I decided that if I was granted another shot, I was going to do it right this time, and signing with Mountain Home is what I would call, doing it right!” Digger says. The Cleverlys returned to the studio this spring, and have begun recording new music to be released by Mountain Home throughout the summer and fall. Follow The Cleverlys on Spotify, Apple Music, Pandora, Amazon Music, Google Play or wherever you listen to hear new music as it’s released.